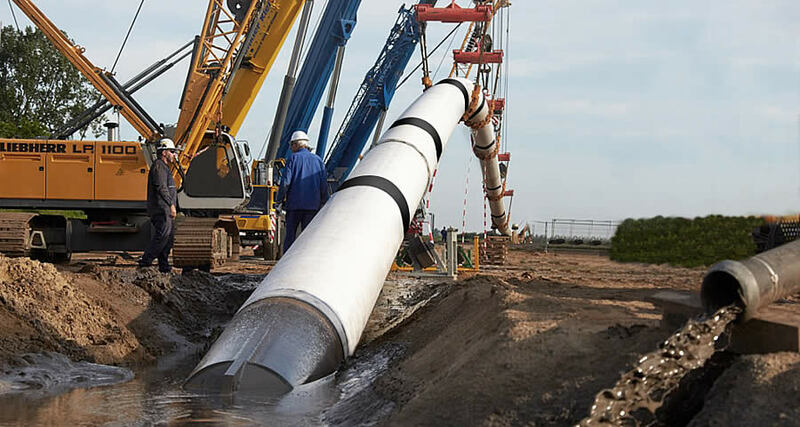 In pipeline construction, supply and disposal lines or pipelines can be laid using a closed construction process known as trenchless installation, without needing to dig a channel along the route of the pipeline. 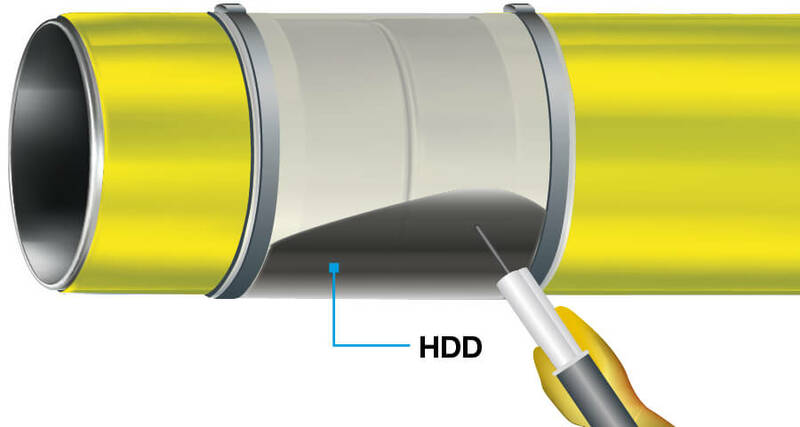 The advantage of this installation method over the open construction method is that a shaft only needs to be dug at the start and end of the section of pipeline. Intersecting roads, rail tracks, rivers and construction sites are virtually unaffected by the work and there is no need to divert traffic, which can be complex and costly. This method also reduces dust and noise for residents in the surrounding area, making it the preferred option in densely populated areas. 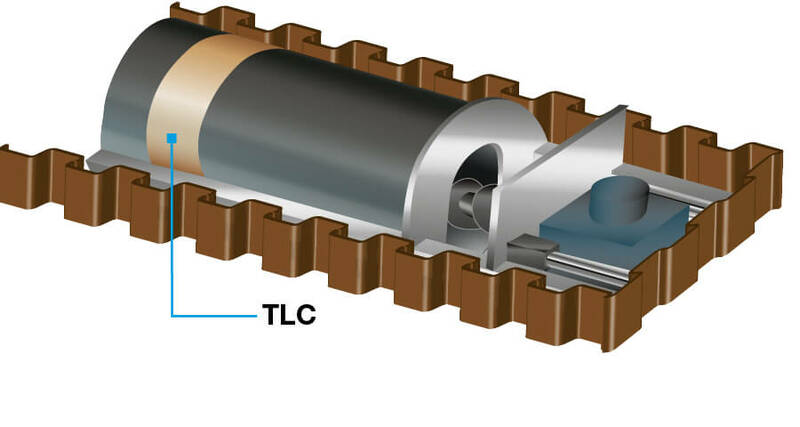 Trenchless installation creates a specific set of requirements for corrosion prevention: On one hand, it is essential that the protection system is flexible, so that pipe movement can be absorbed. On the other hand, the system must also have exceptionally high abrasion and shear strength. The system must also be easy to apply, solvent and odour-free and harden rapidly so that the surface can be put back into use as soon as possible. 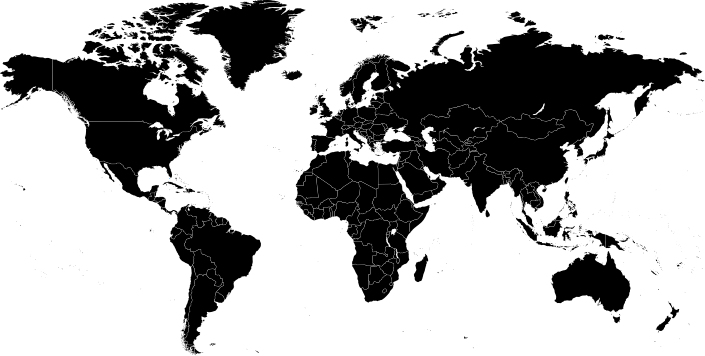 In its solutions for the various methods of trenchless installation, including horizontal directional drilling, pipe driving and pipe ramming, DEKOTEC has taken these requirements as a starting point for developing tailored products. In horizontal directional drilling, the drill creates an underground channel then pulls in one or more product pipes or ducts as it retracts. With the pipe-plough method, the plough compresses the soil so that the pipe can be fed into and positioned in the cavity created by the plough. Whichever method is used, the weld seams on the pipes must be protected reliably against corrosion and – perhaps even more importantly – against the enormous mechanical loads involved in these processes. This is where LIQUITOL®-HDD excels. LIQUITOL®-HDD is characterised by its exceptional hardness and abrasion resistance, combined with excellent stretch and bending strength. The pipe can be pulled into the channel a very short time after application. With pipe driving (dynamic pipe ramming), trenchless installation can be used to lay steel pipes with diameters of up to 4 m and lengths of up to 100 m. The high impact energy involved in this process places extreme loads on the pipes. The driving process gradually fills the pipe with soil; it is then cleared either manually or using water and compressed air. In this process, our product LIQUITOL®-TLC can be used as a weld seam coating. LIQUITOL®-TLC features fast curing as well as a high abrasion and shear strength. After the application of LIQUITOL®-TLC, the curing process can be accelerated even further using a burner flame. If trenchless installation is used to lay plastic pipes, the weld seams that connect the pipes must be reliably protected against the exceptionally high mechanical loads involved in the process. 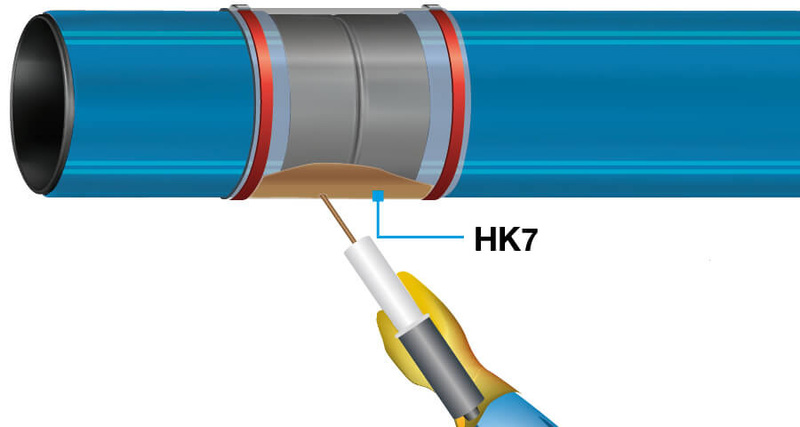 LIQUITOL®-HK7 C is a rapid-curing, mechanically hard-wearing, polyurethane-based coating for plastic pipes with a protective encasement. The smooth surface of cured LIQUITOL®-HK7 C minimises frictional resistance against the soil during trenchless installation.